Ah, the post Thanksgiving blitz. A time for frenzied gift shopping, gaudy holiday decorations, and, most importantly, holiday office parties. While these parties can be a lot of fun and a great way to connect with co-workers outside of your day-to-day, there are plenty of social and professional landmines you will need to side step. Do: Attend the party! It’s important to attend to show you appreciate the company spending time and money on throwing a party. Hang out and schmooze for 45 – 60 minutes and then (with a good reason) you can peace out. Don’t: Be a miserable Mikey. Even if you’re coming out of obligation, don’t go around ruining the mood for everyone else. This isn’t the time to talk shop or vent. The mood will be ruined and so will your reputation. Do: Socialize and network. It’s a party! Have fun and take this opportunity to talk with colleagues in a more relaxed setting. This is also a great chance to speak with employees you don’t get to interact with very often. Don’t: Over-socialize. While this is more relaxed than hanging out at the water cooler, don’t suddenly decide to share intimate details of your life with your colleagues. They’re still your colleagues so remember to keep some boundaries. Do: Dress appropriately. Sorry bro, but wearing a vest with nothing underneath to show off your sweet biceps is too much skin for this event. Remember, this is an office party so when in doubt on what to wear, stick to the conservative side of things. Ask someone in the know what the dress code is – especially if the party is on casual Friday as you may need to be less casual than normal. Don’t: Over-indulge. The bar and food is there for you to partake in obviously. But it’s not an invitation to show-off how many shots you can take or how many bacon-wrapped cheeseballs you can fit in your mouth at once. You don’t want to be known as “that guy” around the office for the next year. Do: Have a good time! Use the party as a chance to get to better know your coworkers (within boundaries). Have fun and remember everything in moderation. And there you have it! 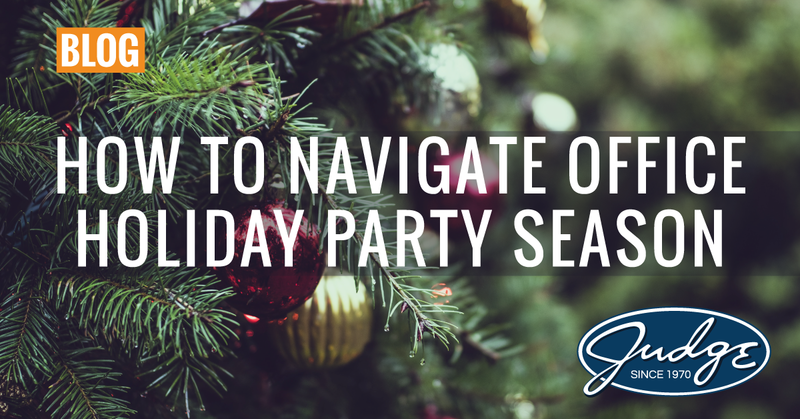 By utilizing these tips, you’ll be able to have a fun and productive time at your office holiday party. Now go forth confidently and have a good, responsible time. Have tips of your own? Share in the comments below!